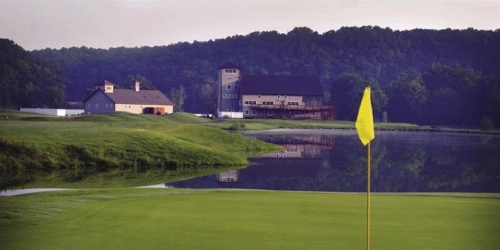 Buffalo Ridge is designed to accommodate a variety of upscale establishments, including the 7,100-yard championship-level golf course at Branson Creek Golf Club. Paying tribute to Ozarks-native and World Golf Hall of Fame member, Payne Stewart, Payne's Valley will be the first public-access golf course designed by 80-time, PGA TOUR winner Tiger Woods and TGR Designs. Set to open in Fall 2019, the course will standout with its inviting layout, pristine water features, large fairways and greens, and its spectacular 19th hole... the Big Rock at Payne's Valley. 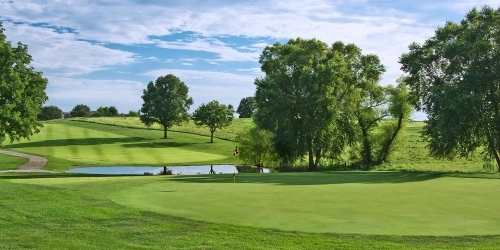 Shoal Creek Golf Course, which opened in the fall of 2001, has become one of the most talked about daily fee golf and banquet facilities in the Kansas City area. This 6,950 yard par 71 golf property was sculpted by golf course architect Steve Wolfard, and offers a truly unique golfing experience for players of varying skill levels. 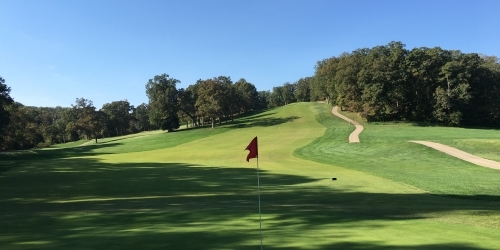 Lake Valley Golf & Country Club is an 18 hole championship golf course located near Camdenton, Missouri and just a short drive from Osage Beach in the beautiful Lake of the Ozarks region. The course welcomes public play with its over forty years of maturity offering something for every skill level of golfer. Johnny Morris, founder of Bass Pro Shops, and golf legends Jack Nicklaus, Tom Watson and Arnold Palmer, spent nearly eight years crafting Top of the Rock. 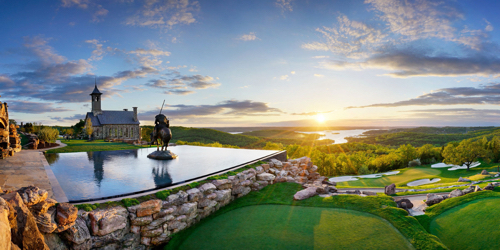 The first-ever par-3 course to be included in a PGA TOUR-sanctioned event, Top of the Rock is golf at its finest. 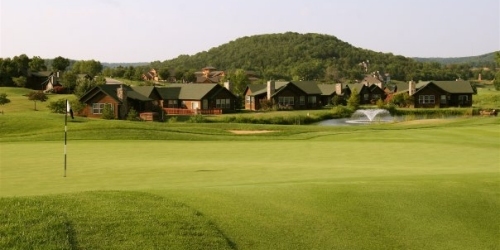 Located high above Table Rock Lake with tranquil waterfalls, meandering creeks and ponds teeming with bass, the course is a true celebration of nature. In addition to the Jack Nicklaus Signature Course, golfers will enjoy an Arnold Palmer-designed driving range and Tom Watson's Himalayan inspired putting green. Top of the Rock also offers a host of restaurants and attractions for guests to enjoy. 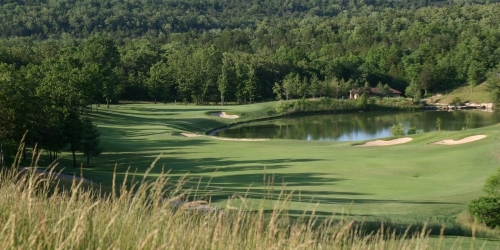 Nestled along the banks of Lake Taneycomo, make it a point to play The Pointe during your golf vacation in the Ozark mountains. Experience our scenic 18 hole, par 70 golf course that offers abundant wildlife and beautiful rolling terrain, accented by crisp white sand traps and flowing streams. 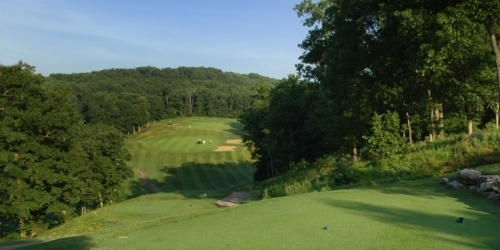 Known as the original 18 hole championship course in Branson, The Pointe offers tee boxes that allow all level of players to enjoy this wonderful golf property. 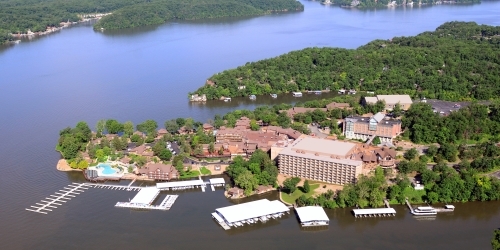 Nestled among beautiful valleys at the Lake of the Ozarks, lies one of America's most spectacular courses. 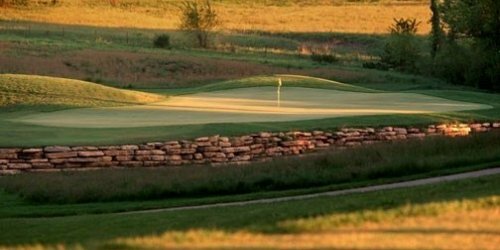 Golf Digest scores Old Kinderhook a 4 1/2 star rating while Golf Week ranks it one of the top semi-private courses in Missouri. The course is a 6,855-yard par 71 layout featuring zoysia tees and fairways with large bentgrass greens. It will challenge the most serious golfer, but plays on the friendly side. The course is renowned for its unsurpassed drama: valleys, waterfalls, hills, trees and water hazards, plus its beautiful lake setting. The elevation changes and breathtaking views will thrill you at every hole. Hodge Park Golf Course was designed by Kansas City's Park and Recreation employees, Michael Malyn in 1976. The golf course is an 18-hole par 71 layout measuring 6,181 yards in length from the back tees. The course is challenging for all skill levels offering enjoyment and value and is a favorite among walkers. Osage National is located directly off Hwy. 54 just north of Osage Beach, 1/2 mile past the Bagnell Dam Road exit. Look for the Osage National marquee sign.